Founded in 1999 with support from British Telecom, Hewlett-Packard, IBM, Lucent Technologies, Marconi Communications, and Siemens, the International Association for Contract and Commercial Management (IACCM) stands as one the global forums for innovation in trading relationships and practices. The IACCM is a useful resource for contract managers around the world and its blog has some articles that have even reached almost 30,000 unique readers. As of 2012, the third most popular article is on what is the purpose of a contract and what are the quality indicators for a contract. The article surveys members of the IACCM and tries to define what “quality” means in terms of a contract. Here are some of the findings on how to create quality contracts. “What are the quality indicators for a contract, in your mind?” is the main question that the article poses to both the members from the IACCM and the readers. Even though the IACCM tried to provide some context by stating that “in most cases, quality is determined in the context of outcomes or outputs. What do you think these are in respect of a contract; for example, the avoidance of unpleasant consequences? The enablement of a successful trading relationship?” no consensus can be found among members. Given this lack of consensus, the IACCM establishes that quality contracting is the result of lack of surprises for all parties involved in a contract. Both the customer and the vendors should have a clear commitment to what the expectation of the other party’s expectation of what contract compliance and fulfillment is. The outcomes or deliverables for the contract must be objective and measurable. No gray areas. No wiggle room for future challenges. Even if new players were to replace one of the parties, a quality contract should clearly establish what the obligations and expectations of the parties were at signing and are going forward. The IACCM indicates that 80% of the disputes and disconnects I see are due to poor scope language for deliverables, particularly in the S and M from the SMART acronym. A survey by SAP and the Procurement Leaders Network, conducted during the height of the global recession, found that almost 40 percent of responding enterprises increased their focus on technology in order to achieve SMART-er procurement during the tough economic times. To understand why such importance is being attached to enterprise contract management software, consider the cost savings automation can provide throughout a contract lifecycle. First, by providing pre-approved contract clauses, enterprise contract management software ensures that all contract terms are in compliance with corporate and regulatory policies from both parties, thereby avoiding the potentially devastating costs of non-compliance in either area. The authoring stage of the contract lifecycle is optimized through the use of this technology. The deliverables are established within a set range of acceptable compliance, not vague, but focused and clear. With user-friendly interfaces and authoring tools, the software also enables faster contract authoring, saving on labor costs. Second, once contracts are signed, contract management software provides automatic updates to milestone dates, red flags non-compliant contract performance, and alerts to cost-reduction opportunities, such as taking advantage of discounts and collecting penalty payments. This is the M from creating SMART contracts. This automatic contract monitoring helps ensure contracts perform as they should, as well as reduces potential non-compliance of contract requirements. The IACCM sends the invitation to the contracts community – contract managers. lawyers, sourcing professionals 0 that is time to define what “quality by design” means when it is applied to contracts. The proposal is to create contracts that have no surprises to either party through the six sigma process of SMART deliverables. 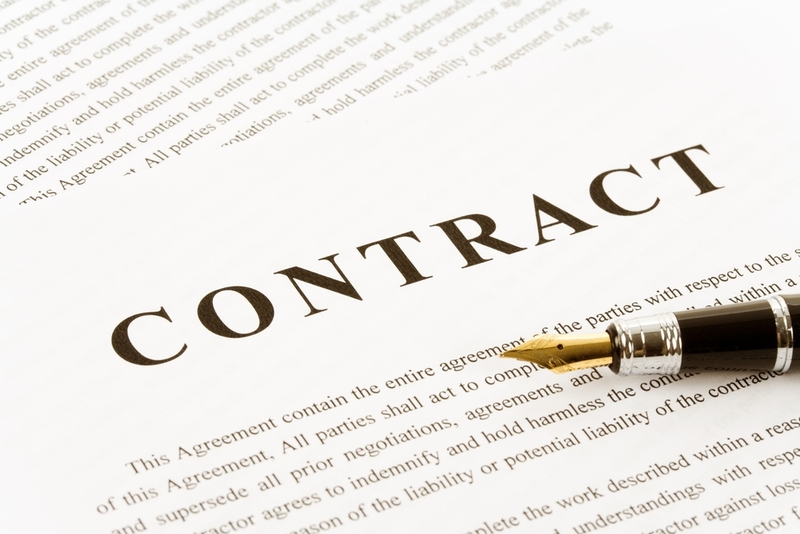 A contract management system can help author and monitor SMART-er deliverables.